CapitaLand plans to acquire Ascendas and Singbridge in a bid to become Asia’s largest real estate platform. The acquisitions will be immediately EPS and ROE accretive, in our view. 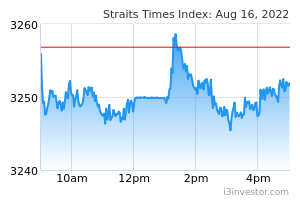 Maintain ADD with unchanged Target Price of S$3.55, pending completion of the deal. CAPITALAND LIMITED (SGX:C31) has entered into a sale and purchase agreement to purchase all the issued shares in Ascendas Pte Ltd and Singbridge Pte Ltd for S$6,035.9m of equity value. Apart from shareholder and regulatory approvals, conditions precedent to the deal include CapitaLand acquiring effective control of managers of ASCENDAS REAL ESTATE INV TRUST (SGX:A17U), ASCENDAS HOSPITALITY TRUST (SGX:Q1P) and Ascendas Asia Real Estate Fund Management. The transaction is expected to be completed before 30 Sep 2019. The transaction is positive for CapitaLand from a strategic point of view. The equity value is arrived at based on S$10,907.1m enterprise value, which takes into account investment and development assets at book value, listed REITs at market value and ascribing a 15- 16x P/E multiple for ASB’s fund management platform, and deducting net debt and minority interest of S$4,871.2m. In addition to complementing its strength in existing core markets, it will enable the group to scale up and expand its product offerings across new asset classes and new markets, such as Korea and India. Income growth would be accelerated and fund management competitiveness enhanced with an enlarged AUM base of S$116.5bn, while fee revenue could improve by 40% to S$337m. There is also a visible development pipeline with a book value of S$11.5bn. CapitaLand also expects to maintain its dividend policy post acquisition. We leave our forecasts unchanged and maintain our RNAV of S$5.47 for now pending more information on Ascendas-Singbridge’s portfolio. 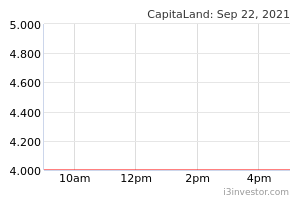 We believe CapitaLand’s share price would be supported in the near term by this transformative and accretive exercise. With an expanded asset we anticipate CapitaLand to be better positioned to grow going forward.